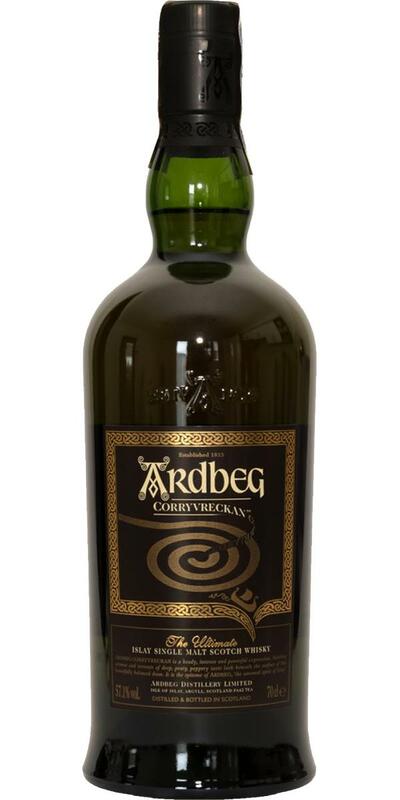 [March, 2017] Another Ardbeg re-taste: When the first Corryvreckan was released I found it not just a very interesting dram with a new, never before tasted profile (due to its share of virgin oak matured malt) but it became my favourite modern Ardbeg too. And I scored it with 88 points. Today I tried a recent bottling of the Corryvreckan and - what a disappointment: It is rather unbalanced and with a slightly drying/bitter finish (not as extreme as with the recent TEN or Uigeadail, but still unpleasant). I guess Ardbeg increased the share of virgin oak matured spirit in this recipe significantly and this higher proportion of heavy tannins (and lower share of sweet bourbon flavours) harm not just the balance but the mouthfeel too. This is most probably due to the problem that LVHM has difficulties in sourcing enough bourbon casks from the US. The scotch whisky boom came at a time when the US whisky industry was in deep recession - so the Scotch demand for used bourbon casks was and still is much higher than the US distilleries can supply. As a consequence the Scottish distilleries cut down the maturation times to use the same cask more often (and masked this by introducing NAS whiskies) AND (as this was not enough) they had to use virgin oak casks in addition. For sure they market this as an intentional strategy, but it is pure despair in the end. What can do you if you do not have enough good quality casks at your hands? Ardbeg - and the hype goes on! 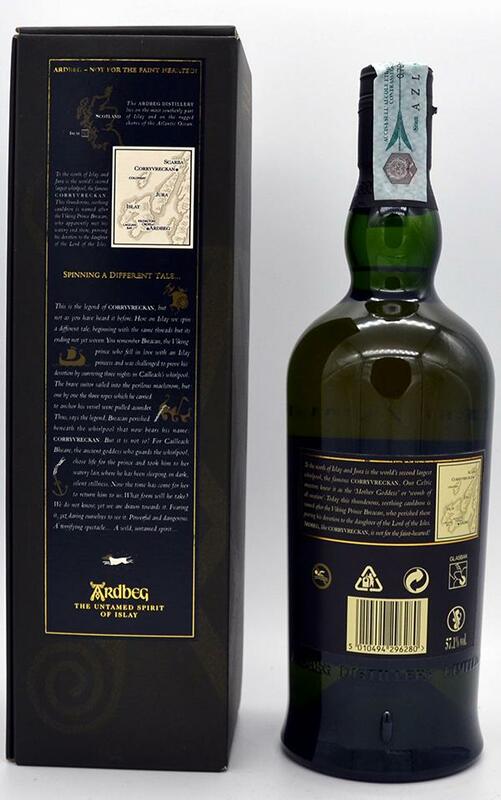 Named after a whirlpool north of Jura, Corryvreckan is a NAS core range expression with cracking 57.1% ABV. With its combination of candy floss, orange zest and delicate BBQ peat smoke, the nose starts out promising. On the palate, the dry and spicy arrival is entirely dominated by French oak, followed by a blast of briny peatiness. Unpleasantly bitter herbs and grapefruit creep in, culminating in a peppery-dry finish which is medium at best. Not a complete disaster, but a bit disappointing given the whisky's reputation. The aroma of vanilla-berry-peat, pastry themes, cherry pie generously sprinkled with vanilla, ripe cherries, milk chocolate, coffee, white pepper. Grilled meat, cherries, black currants, smoked dried fruit and vanilla baking again. The finish is long, complex, playing with smoke, pastries and chocolate. Great and great again. He bites his palate even more strongly than his NASOV collected Uig, but no wonder, stronger because. The aroma is complex and multifaceted, every 5-10 minutes something appears in it, then something disappears. It is difficult to catch the whole spectrum, especially when it goes into all tertiary layers. Another drink, which is very difficult to estimate by sample 50ml, you need to take a whole bottle and sit quietly with him. Not for every day, but for a holiday! A varied and demanding dram. Very strong onset in the nose, pushed by the high alcohol content. Nice aromatic smoke. Salty maritime with some ashes. But then suddenly sweet. Cocoa and some latte. Finally he becomes earthier again. Again very strong in the start. A lot of smoke. Salt, wood and ash. But then again sweet with a hefty shot of coffee. Fits well with the impression from the nose. A varied and demanding dram. Long and warm. Sweet smoke stays behind. 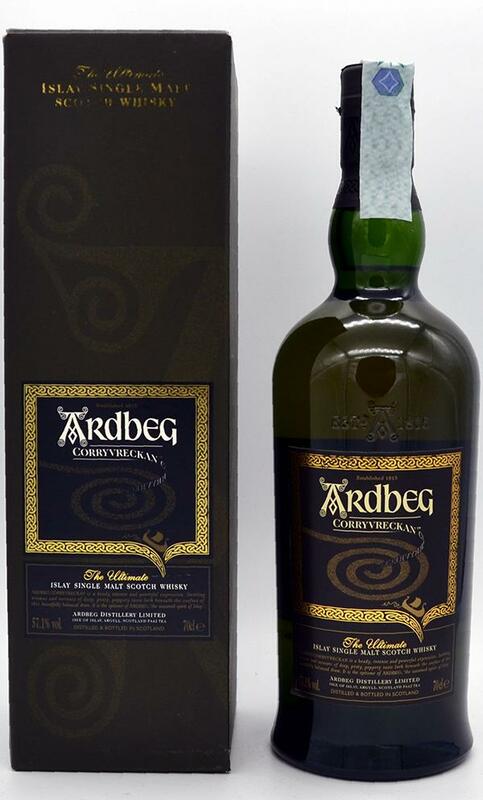 The most intense of the Core Range - an absolutely typical and very good Ardbeg at a fair price! Very strong and direct peat, fruity sweet, ashen, medicinal. Menthol and pepper. Strong and almost brutal. Islay as a concentrate.